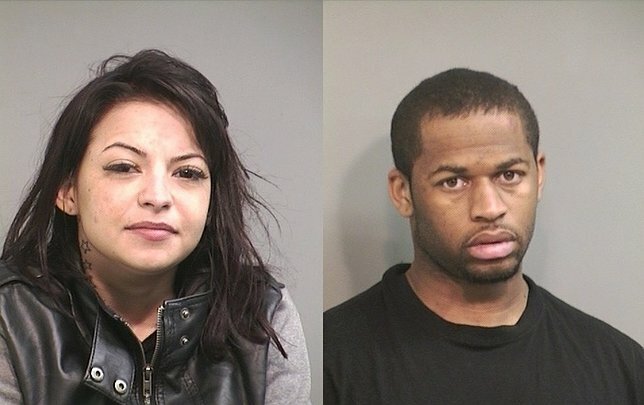 The Major Case Bureau reports two arrests for Criminal Possession of a Controlled Substance that occurred on Thursday, March 24, 2016 at 11:20 a.m. in Massapequa. Shamiek T. Porter (pictured right) and Lindsey Wild (pictured left) were arrested Thursday Morning in Massapequa with over 50 packets of heroin, and wads of cash on them. Massapequa, NY - March 25th, 2016 - The Major Case Bureau reports two arrests for Criminal Possession of a Controlled Substance that occurred on Thursday, March 24, 2016 at 11:20 a.m. in Massapequa. According to detectives from the Nassau/Suffolk Heroin Task Force, Shamiek T. Porter, 24, of Franklin Place, Farmingdale was driving a 2013 BMW westbound on Beach Street in the vicinity of Carmen Boulevard. As detectives attempted to conduct a car stop Porter drove over a sidewalk and across a front lawn before striking a brick wall, mail box, basketball hoop and two parked cars before coming to a stop in front of 24 Beach Street. A passenger in the car, Lindsey Wild, 24, of N. Greene Avenue, Lindenhurst was found to be in possession of over 50 glassine envelopes of heroin. Porter was found to be in possession of 20 glassine envelopes of heroin and an undisclosed amount of cash. No injuries were reported. The defendants are charged with Criminal Possession of a Controlled Substance 3rd degree. Additionally Porter is charged with Criminal Sale of a Controlled Substance 3rd degree. They will be arraigned on Friday, March 25, 2016 at First District Court in Hempstead. Subject: LongIsland.com - Your Name sent you Article details of "Nassau/Suffolk Heroin Task Force Arrest Duo with 50 Packets of Heroin, Wads of Cash"